This car is the reason Todd became a muscle nut years ago. 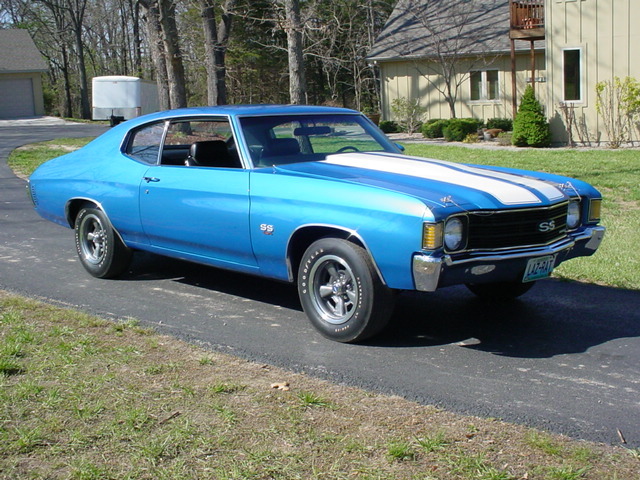 Originally, his dream car was a 1970 Chevelle LS6, but being 15 years old, he simply could not afford it back then. 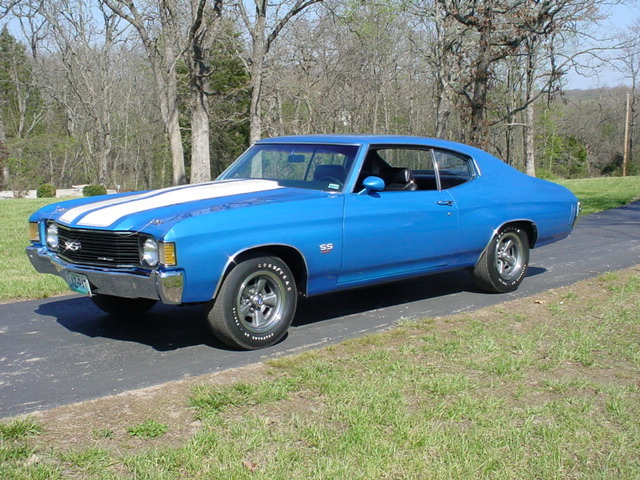 However in 1986, he noticed a 1972 Chevelle about 15 miles from his house. Upon further investigation, he discovered that it was in fact an original LS5 car! It needed some restoration, but the bottom line was that it was affordable and it was pretty darn close to a 1970 model. After talking to the owner, Todd learned that he had transplanted a 350 with an automatic in it to make the car more economical for his wife. It turns out she commuted 30 miles each way to work in the morning and as we all know 454’s are thirsty engines when it comes to fuel. Luckily the original owner had kept the original engine and M-22 transmission tucked away in the corner of his garage. When Todd purchased the car, he left the 350 and automatic behind and took the 454 and M-22 to put back into the car. Todd and his father immediately went to work restoring the car. It received a full body makeover from the local Chevy dealer. Even though Todd’s father was a State Highway Patrolmen, they made some performance modifications to keep the Chevelle competitive on the streets. Todd explains, “I was raised to respect the law but there was always a time and a place to have fun.” The car was fitted with 4:56 gears at the time. The original M-22 and the engine received many internal modifications including a fairly radical solid lift cam. The car was capable of mid 12 second quarter mile times in street form and proved to be very reliable. It still is to this day. Todd’s work with title in hand ready to sell back the car! Todd immediately went and grabbed a friend and his trailer and drove rather quickly to the place where the car had been parked for years. They spent the next day doing the basic things to a car that has set for years; changed fluids, plugs, wires, fresh fuel and replaced the fuel pump. The car fired right up which was music to their ears. He let his father be the first to drive the car. They jumped in the car and felt like they traveled 10 years back in time. To Todd’s benefit, the guy who bought the car had changed nothing about the car. The paint had faded slight from sitting, so in 2001, the car was basically given a repaint and a light restoration and that is how it is today. It is still a numbers matching car and has 2 build sheets, and all of the original paperwork from when it was sold new.